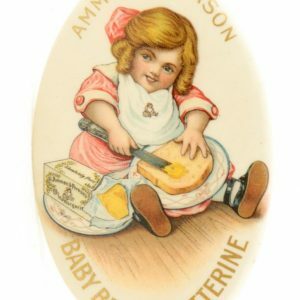 Scarce, early celluloid pocket mirror advertising Ammon & Person Co.’s baby brand Butterine spread. 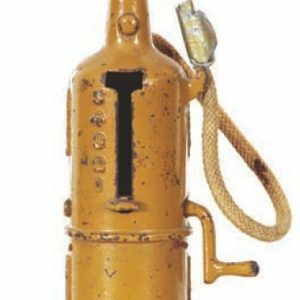 SKU: 78-292. 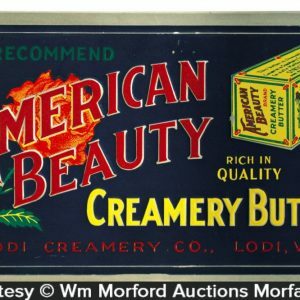 Categories: Pocket Mirrors, Vintage Ice Cream and Dairy. 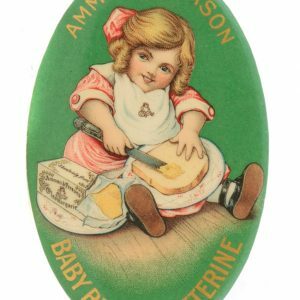 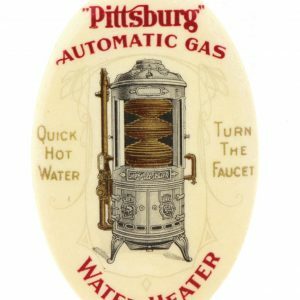 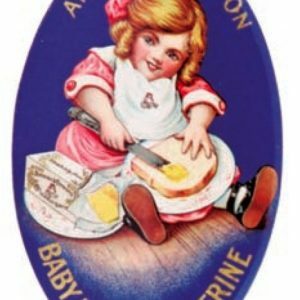 Company/Brand: Ammon & Person Co., Baby Butterine. 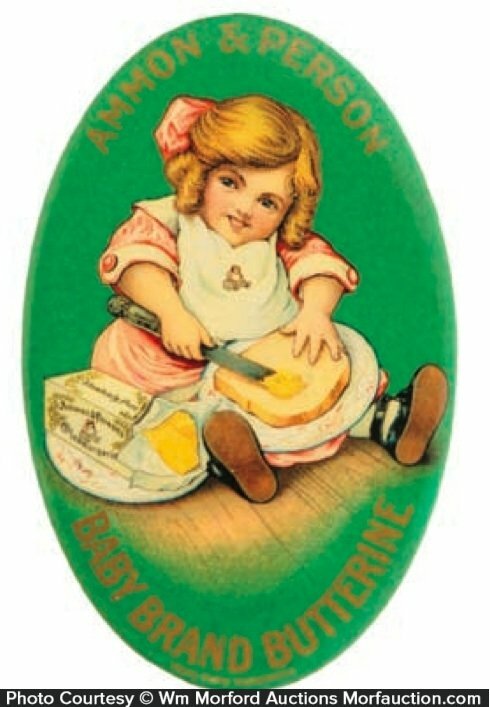 Baby Butterine Mirror: Scarce, early celluloid pocket mirror advertising Ammon & Person Co.’s baby brand Butterine spread. 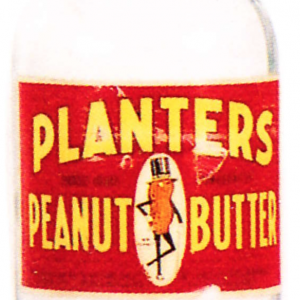 Clean, bright and excellent appearance (although close examination under magnification will reveal some light surface scuffs and rubs).